Tatiara Industrial Repairs was first established in July 1998 by Shane & Linda Longbottom. In the founding years the business was operated predominately as a one man operation from a small location in Bordertown focused around Shane's machining fitter trade and maintenance shutdown work at the TMC meat works in Bordertown. As word of mouth spread business grew & TIR started hiring staff to fill other engineering ventures. In 2002 TIR moved to a new location just outside the town limits where the business grew to include custom fabrication of stone rollers, sheds, trailers and continued work at food & seed processing industries. In 2014 TIR made the big and exciting move to the Bordertown Industrial Estate into their own customer designed engineering workshop. 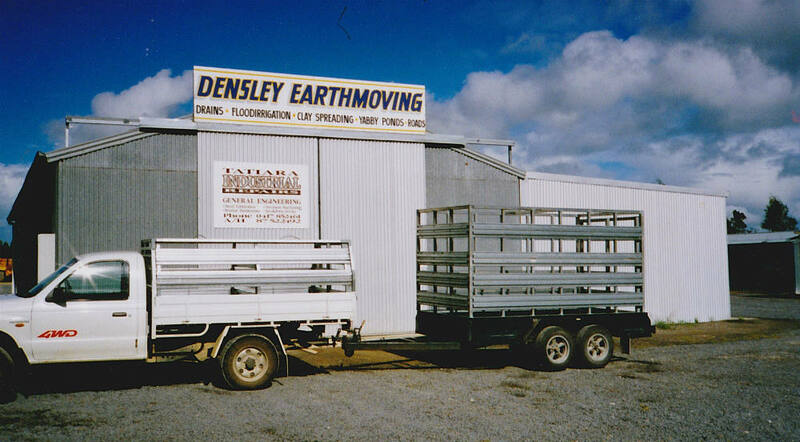 The new premises offered the ability to once again add to their extensive range with heavy duty rollers in double & triple sets, heavy duty flat top, tipping & fuel trailers as well as machining and fabrication equipment upgrades to help offer a greater variety of services. TIR pride themselves on the being able to offer a extensive variety of engineering services completed by their qualified & experience tradesmen & apprentices. TIR continually look for opportunities to keep employees skills updated & training apprentices in different fields to offer the most varying services available to the local & surrounding communities as well as customer all over the state. TIR look to support & give back to the community not only by hiring & training local people but by supporting & donating to the local sporting clubs & buying from local business where ever possible.